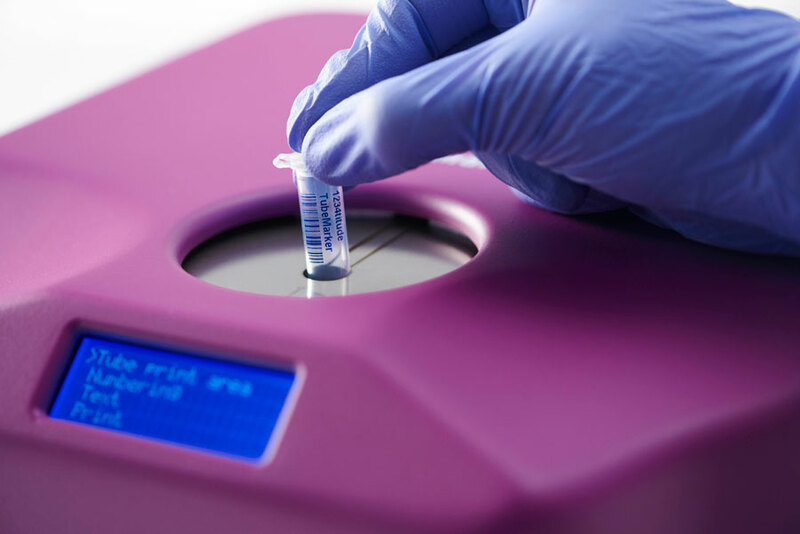 The 4titude TubeMarker™ allows you to print directly to the surface of centrifuge and cryogenic tubes. There is no need for using labels or marker pens. Marking is resistant to alcohol, water, liquid nitrogen and mechanical abrasion. Markings do not stain your hands when touching the tubes. Several lines of text can be printed, for example sample name, sampling site, your name, date, time etc. The instrument also prints linear barcodes or 2D codes. Text orientation can be vertical or horizontal. Printing straight to the surface is much easier and faster than marking by hand. •	No more smudged, illegible writing on tubes! •	No more disappearing labelling after each ethanol wash step! •	No more fiddling with tiny labels (if names or codes are printed on sticky labels)! 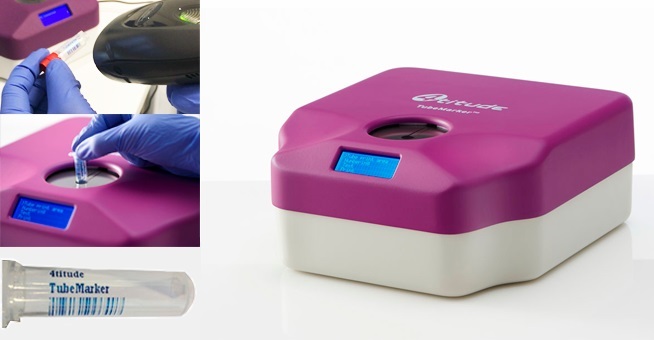 •	Clean, fuss-free and durable labelling of all common tube formats with the TubeMarker™ offers a solution!